Remote Management is capable of sending email alerts based on the criteria below. 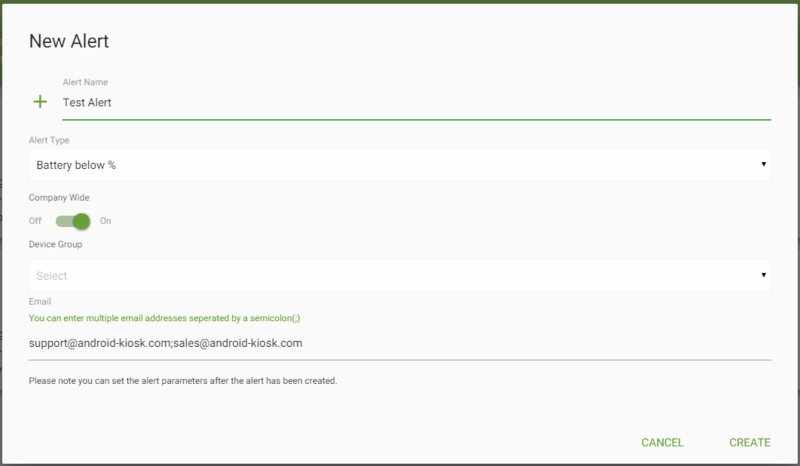 Alerts can be defined for all devices within the company or just for a specific device group and can be sent to multiple email addresses. 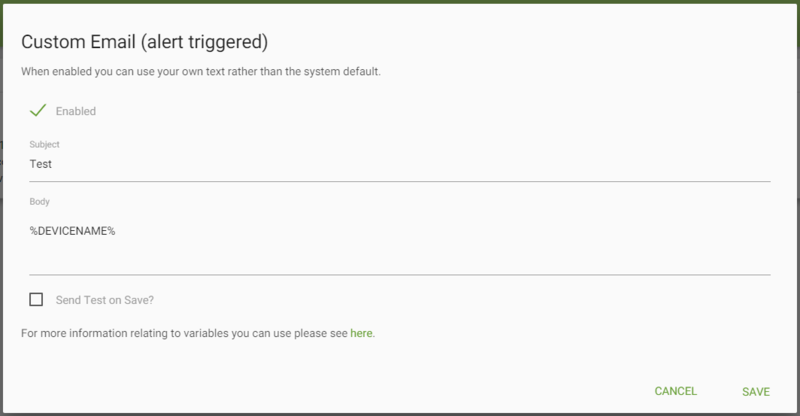 To edit alert parameters click the edit parameters icon. As you can see below it is possible to set the length of time the device has been in its error state for i.e. battery level has been under 50% for 10 minutes. 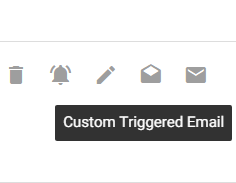 If you do not wish to use the default text in alert emails you can create custom content for both the triggered and resolved emails. Markdown formatting syntax is supported, basic examples can be found here. In order to provide richer information within the alert you can use variables such as %DEVICENAME%. All of the variables can be can be found here.